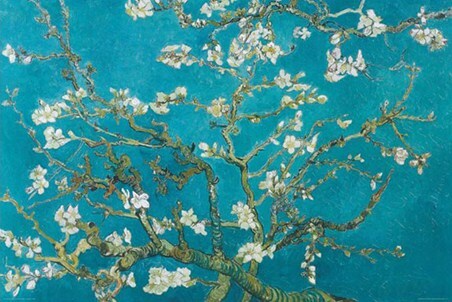 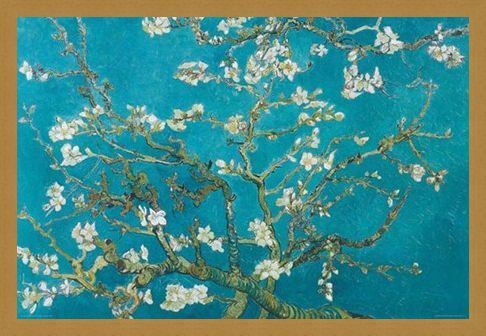 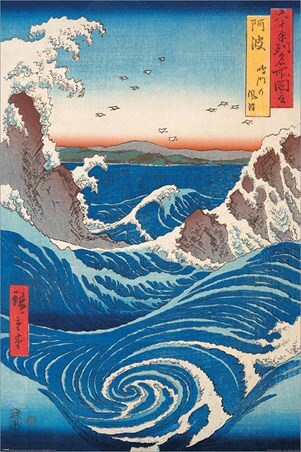 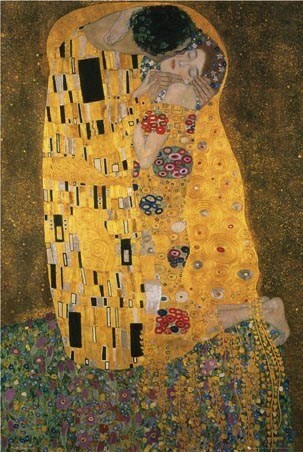 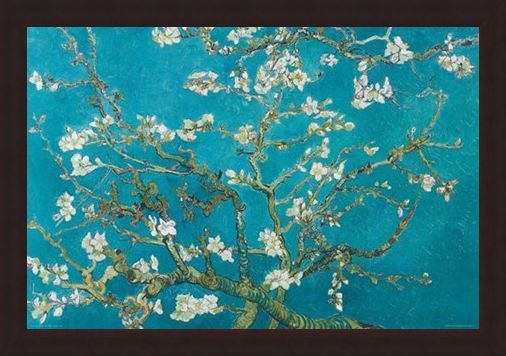 Impressionist Art Poster: Painted in 1890, Vincent Van Gogh created the stunning 'Almond Blossom' image as a gift for his younger brother Theo, whose wife had just given birth to their first child, a son named Vincent Willem. Featuring a beautiful blue sky and a maze of branches littered with delicate, pale flowers, the painting was quite distinct from the artist's previous works and is thought to have been influenced by Japanese art he had seen for the first time while in Paris. 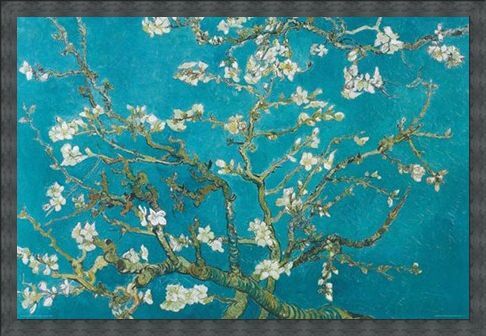 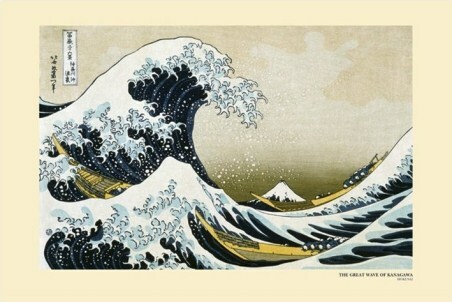 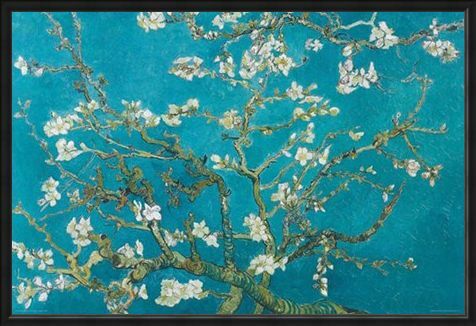 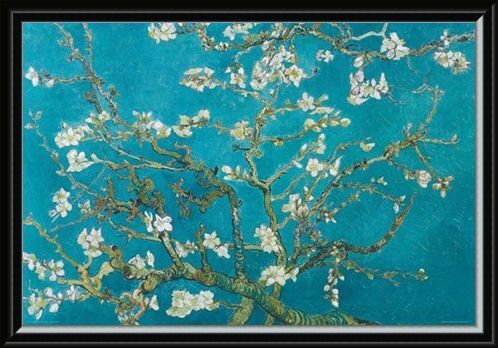 High quality, framed Almond Blossom (1890), Vincent Van Gogh poster with a bespoke frame by our custom framing service.